We usually think of families as collections of people related by birth, marriage or long acquaintance. Our mothers and fathers, our husbands and wives, our children, the friends we've known forever, individual humans you can put in a room so that they will fight, make love, argue or watch television together with a vacant look in their eyes and as a companionable silence settles. But families consist of more than just the humans who have the same or different names and addresses. In many ways, families are not people; they are stories. When you think about family as story, you begin to realize the common thread that unites all families, because the humans and their lives fall all over the map. Any family is made up of humans who could not be more different, humans who may be utterly in love or bare able to tolerate one another. But family stories unite us; because every family, without exception, has a weird story. 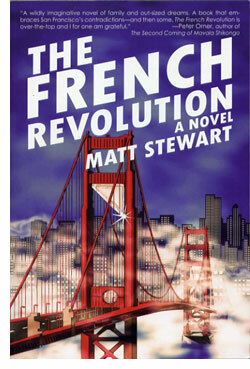 Matt Stewart distills the particular weirdness that is Northern California, and more specifically, San Francisco in his novel 'The French Revolution' (Soft Skull Press ; June 15, 2010 ; $15.95). His family epic begins in 1989, with Esmerelda Van Twinkle, an eccentric example of Northern California culture. She's destined to give birth to twins on Bastille Day, and names her children Robespierre and Marat. And thus begins the French Revolution — a family story. Stewart drives his family story with great family stories, written in prose that captures the essence of family storytelling. There's a baroque, detail-stuffed feeling to the writing here. It's like opening up the junk drawer in your parents' kitchen, and having all the wildest stories about your family and their excesses spill out at once. Stewart knows how to turn the American family up to eleven. His sentences have that shaggy-dog, what-the-heck quality that the best family stories have. He has an uncanny ability to surprise the reader with words. Stewart's plot echoes the odd arc of family epics; one sibling is straight and normal(ish) the other bent out of true, but both seem to reflect their parents. What Stewart does amazingly well is to capture the feel of an American family and turn it into gripping reading. Artists, entrepreneurs, stunning successes and spectacular failures strut the stage in Stewart's stylish prose. And he never loses track of the idea of family as story and history, which he cleverly tracks but does not mirror. One of the characters in here becomes a musician, and there's a very loose, jazzy sort of musical feel to the story. There's a phrase that is often used to describe old, close friends — "the family that we choose." But that's a lie. Stewart's knows that family is destiny, whether it is the family you are related to or the family you simply relate to. 'The French Revolution' shows a free-wheeling family spinning out a wild story as America moves from one century to the next. They're really odd and might seem like the sort of people you'd hear about but never meet. Stewart's real achievement is not just the creation of a family you will never forget. This is also the family and the novel that feel like home. Understanding is a pleasure — but it may not feel that way. It's necessary, it's important, it is helpful to our everyday lives to have a clear view of how the world around us works. Being able to grasp how world politics filter down into the lives of others enables us to act with deliberation in our own lives. We need to acquire the knowledge, often unpleasant, that will help us make decisions that will, we hope, make our children's, if not our own lives, safer and more productive. Getting that information into our minds is the real trick. The most common means these days is to watch television. But even in those arenas not larded with advertising that distracts from any coherent message that one might hope to comprehend, the very nature of the medium discourages engagement. The difference between being a viewer and a reader is that between a recipient and a participant. When you read, you build the understanding one word at a time. It makes a significant difference in what information your receive and your ability to integrate it into your everyday life. 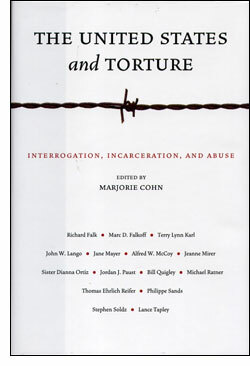 'The United States and Torture: Interrogation, Incarceration and Abuse' (NYU Press ; January 12, 2011 ; $39), edited by Marjorie Cohn, is an essential reading experience if you hope to have a firm grasp on how the policies of those you elect here in the United States will spill out around the rest of the world. Cohn, a professor at the Thomas Jefferson School of Law, decided to gather a psychologist, a historian, a political scientist, a philosopher, a sociologist, two journalists, and eight lawyers to write about torture as a policy of the government of the United States in the wake of the terrorist attacks of September 11, 2001. With a passionate preface by Sister Diana Ortiz, who was tortured in Guatemala in 1987 by a government supported by the United States, and an introduction by Cohn herself, 'The United States and Torture,' becomes a disturbing work of non-fiction dystopian horror. It reads rather like an imaginary reference work that George Orwell might have created to give the world of his seminal novel '1984' veracity. Unfortunately, this is no work of the imagination. Welcome to your world. Cohn's collection is divided into three sections. "The History and Character of Torture" demonstrates that though we brought things out into the open in the 21st century, the US has a long and dishonorable history in the realm. From the CIA's pursuit of psychological torture during the Cold War to the notorious "School of the Americas," our government has not shied away from the unthinkable. John Lango, the philosopher, analyzes "Fundamental Human Rights and the Coercive Interrogation of Terrorists in an Extreme Emergency," a fascinating thought experiment based around the old chestnut, "What if we think he knows where the nuke is hidden?" It's not for the faint of heart. Part II looks at "Torture and Cruel Treatment of Prisoners in US Custody." Here's where the book becomes incredibly timely. The recent fall of the Egyptian government under Hosni Mubarek may seemingly throw the easy prospect of "extraordinary rendition" to Egypt into doubt, but the state of emergency that allowed torture in Egypt remains in force. By virtue of having read Mayer's article, the reader is able to put together a complicated and contradictory picture of what is happening, and what may happen. It's very interesting. Part III, "Accountability for Torture" looks at the legal and moral implications of our policy of committing, abetting and contracting torture. This is a very complicated issue with implications all over the political spectrum that resist easy summation. Cohn's contributors, from a variety of disciplines, break it down but resist turning messy real-world actions into luridly simple conclusions. The pleasure of reading 'The United States and Torture' is the "aha" moment, the feeling of revelation that comes when a reader arrives at a clear understanding of a murky situation. "Murky" is something of an understatement with regards to torture, but when we are confronted with alarmingly violent and arguably despicable actions taken on our behalf, as citizens, then understatement is the best path to understanding. 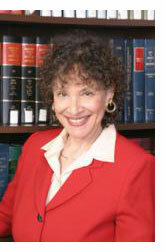 Marjorie Cohn and her contributors will help the reader achieve a level of clarity about subjects that are difficult to think about, let alone analyze. It's an achievement that should not go unrecognized or unnoticed. You won't, you cannot see this on the television. 'The United States and Torture' is an argument for many things, among them reading itself. The date of my last review of 'Grimscribe: His Lives and Works' reads "02-15-1992," nearly twenty years ago. I had recently moved to Northern California and was writing reviews for the San Francisco Chronicle under Book Editor Pat Holt. She had a great sense of inclusive taste. She accepted my pitch and ran the review, which you can find here. In the years since that review, the world has darkened. We now live in a place with more room for Grimscribe and his morbid stories. The shadows are sharper and darker. This proves to be a book that the world is moving towards, not leaving behind. And for all the glories of the Carroll & Graf hardcover edition from those years, it did have some pretty servere shortcomings, most notably the cover. With the Subterranean Press version, there is no reason to let this book hide in the shadows. They have come to join us — to be us. Ligotti's fiction seems as timelessly macabre now as it did then. Though the book has been revised and substantially altered, the stories essences remain unchanged. Reading these versions, in this edition, the prose seems cleaner and crisper without undermining Ligotti's masterful sense of mystery that morphs into menace. Ligotti's stories are often in the form of a summons, a recitation of darkness that ends with the narrator urging the reader to take things one step farther into darkness. The elegiac, hymn- or sermon-like sensibility shines through. We are all characters, all chattel, in Ligotti's prose universe. Part of the joy here is reading the entire collection, cover to cover. Short stories, especially horror short stories, are often meant to be one-offs, single shots to the brain, shock therapy for a life of complacent safety. 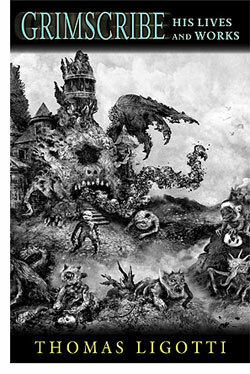 In 'Grimscribe,' Ligotti takes us step by step into the abyss, beginning with the "The Last Feast of the Harlequin," until, finally, we step into the depths of "The Shadow at the Bottom of the World." Read in sequence, the stories themselves tell a larger story, draw the reader closer to gaze into an abyss which will not stop with gazing back. Ligotti's language and prose are transformative. Credit has to go to Subterranean Press for giving 'Grimscribe' more than just an appropriate cover. Key to the enjoyment of this book is the spacious layout. In fact, I would suggest it is critical, because the generous and classy printing enable the reader to more fully engage with Ligotti's prose. This is a book that is best when it subsumes you as a reader. It's also a book that is well worth reading aloud. In fact, Ligotti's prose rewards those who read it aloud. Read these book in the stillness of your rooms as the shadows lengthen and it will become clear. They are not tales, nor merely stories. These are incantations, journies from which you may not return. The story of science is that of Xeno's Paradox. Even the biggest leaps we make only get us halfway to a goal we can, by definition, never achieve. In the history of science, the stories are not those of discoveries, but of the people who make those leaps, the humans who move us from one age to the next. 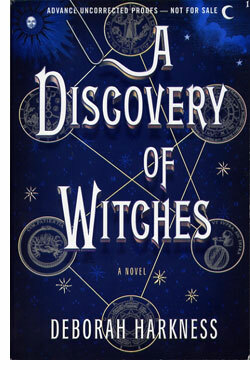 They're different than you and I.
Deborah Harkness imagines just how different in her novel 'A Discovery of Witches' (Viking / Penguin ; February 2011 ; 978-0-670-02241-0 ; $28.95), which creates a pantheon of supernatural creatures — witches, vampires and daemons — that look pretty much like humans and have coexisted secretly within our world for all of recorded history. The novel lives up to its title. It is both a discovery within itself, a story of discovery and a plot that unfolds as discoveries by the reader. The novel begins, appropriately enough, with the discovery of a manuscript by Diana Bishop. She's a scholar studying alchemical manuscripts to uncover the history of science and a witch who has tried to deny her heritage and live a strictly human life. But Ashmole 782, the manuscript she asks for at the Bodleian Library at Oxford, changes all that. The pages seem alive and underneath the mysterious alchemical formulae, there are letters writhing, another story crying to be told. Her discovery sets the world of supernatural creatures on alert. Threatening and unusual crowds of them are drawn to the library, to Diana. A handsome vampire, Matthew Clairemont appears to intervene and protect her. Her story is about to begin. Harkness's supernatural fantasy is particularly well thought-out, and in fact, that's the point. Her vampires are scientists, trying to probe the mysteries of their own origin with DNA analysis. Her daemons are artists and outsize figures so full of creativity they're almost dangerous. Her witches are historians and keepers of wisdom. And all of them are threatened by Ashmole 782. There are not monsters here per se, though there are vampires, daemons and witches with evil intentions. Harkness takes a decidedly scientific and humanistic approach to the fantastic, which grounds the novel nicely and offers her the chance to immerse the reader in lots of entertaining details. Despite the fact that 'A Discovery of Witches' is a carefully-architected fantasy, it is not a horror novel. The core of the story is discovery, not just of facts, but of a large cast of complicated and entertaining characters. Harkness tells the story mostly in the first person, from Diana's perspective, with some interludes in the third-person view of Matthew. It's a little bit disconcerting at first, but the power of the characters wins the reader over. Everyone in this book is a joy to read about, and there are a lot of characters. Harkness handles this large cast well, and the stories that unfold for each of the players are compelling reading. A huge part of the appeal of this novel is its evocative use of great settings. Oxford, France and America each play a featured role here, and all of them are worthy of being considered characters in themselves. Book-lovers will particularly appreciate Harkness's evocation of the Bodleian library. From the environs of Oxford to the fields of France and a very colonial-seeming modern America, 'A Discovery of Witches' gives the reader a bargain on travel. 'A Discovery of Witches' keeps the plot humming along on a variety of levels. From the get-go, we know that romance is going to play a major part in the story, but Harkness does a wonderful job of keeping this understated and amazingly chaste. There's a sort of Romeo and Juliet plot that is engaging without ever overheating. Of course, there are lots of nice moments of peril, and a number of superb set-pieces in which character happily plays a key role. This is the sort of book you do not want to end. We've all discovered our own feelings towards these creatures of fantastic literature; the witches, vampires and daemons. They're as well known as homo sapiens. Harkness's contribution to the science of storytelling and the history of fantastic literature is to make that discovery once again new, to bring us closer to a goal we can never reach. It advances the science of the human heart by reminding us of the importance of the unknowable, of magic.